Icon FJ Cruiser/03+ 4Runner 2.5" Remote Reservoir rear shocks with CDCV designed specifically to work with Metal Tech Progressive Rate Spring. Icon FJ Cruiser/03+ 4Runner 2.5" Remote Reservoir rear shocks with CDCV designed specifically to work with Metal Tech Progressive Rate Spring. These are Vehicle Specific Remote Reservoir shocks that are valved and sized for optimal performance with ICON Vehicle Dynamics suspension systems.These shocks are constructed from the same high quality components as our coil-over shock line. 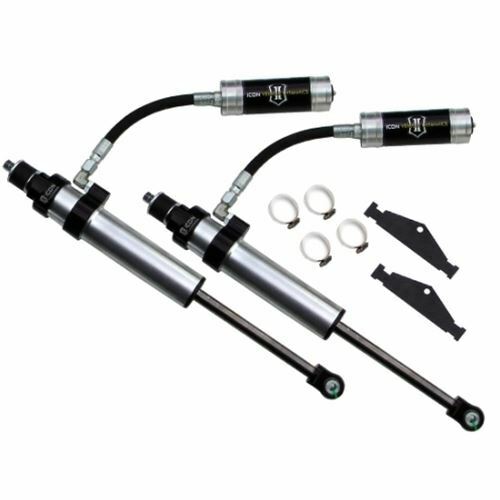 These shocks come with all necessary mounting brackets and hardware. 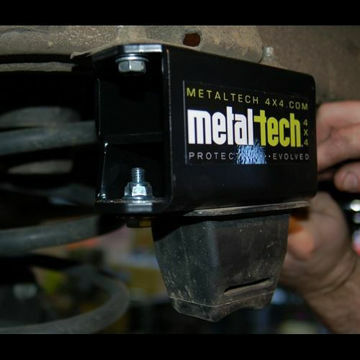 Metal Tech 4x4 FJ Cruiser/4Runner rear suspension bump stop drop with Arc Swing Correction.